Ron Boots is part of the so-called third generation of New Age electronic musicians. The first generation, in the early 1970's, consisted of the New Age Synthesizer or "EM" pioneers and the second generation emerged at the end of the 1970's/early 1980's which included their descendants. Ron was born on October 13th 1962 in Eindhoven. Nowadays, he still lives and works in the neighbourhood of his native town, in the village of Best. Ron was born on October 13th 1962 in Eindhoven. Nowadays, he still lives and works in the neighbourhood of his native town, in the village of Best. In the middle 1970's, Ron was introduced to electronic music through the album 'Timewind' by grandmaster Klaus Schulze. Ron was so overwhelmed by this style music that he decided he wanted to play electronic music himself. In addition to the well-known New Age music names like Schulze, Tangerine Dream, Vangelis, Steve Roach and Patrick Kosmos, Ron was also influenced by other music genres. His favourite bands and artists included Simple Minds, David Sylvian (from the band Japan), Pearl Jam, Marillion and film composers John Williams and Maurice Jarre (the father of Jean-Michel). In 1984 he bought his first synthesizer, a monophonic Yamaha CS10. While, his first excursion into music was in 1977 as a singer in a school band - 'That was to get girlfriends', he explained in an interview. Using the CS10 he began to seriously compose and in 1986 Ron gave his first New Age electronic music concert. Together with a couple of keyboards Ron started making his first recordings. In 1987 he made his first cassette titled 'Linear Waves'. Only nine copies of this C-60 were made and it was never officially released. Instead copies were given away to introduce others to Ron's music. 'Linear Waves' showed some interesting music and clearly demonstrated Ron's talent. The sequencer-driven pieces 'Affaire', 'Only You' and 'Arakis' were well received. Later that year he produced his first official C-60 'Dreamweaver'. It contained 5 pieces of rather melancholic music. The sequencer-tracks 'The Mystery' and 'The Dream' were singled out for merit. The ominous 'The Machine' visualizes a true chillness, one reviewer wrote. This set the ball rolling. Also in 1987, another cassette was released, the C-90 'New Dream' containing eight selections. As you can see, a lot of Ron's early works were based on the theme 'dreaming'. This new recording marked a significant step forward for Ron. 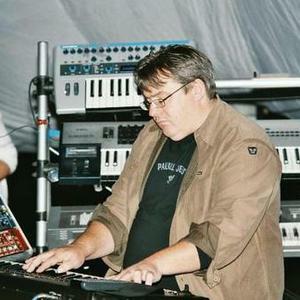 The sequences in 'Coldfields', 'Alpha' and 'Andromeda' were created with the aid of a computer and a Yamaha FB01 sound-module. Toward the end of the 80's, Ron got in touch with a couple of other devotees of electronic music from Eindhoven and its surroundings; Ron Doesborg and Bas B. Broekhuis. Doesborg and Broekhuis also started to play interesting electronic music and soon this concentration of EM artist in Eindhoven lead to the title 'Eindhovense School' (similar to the 'Berliner Schule' from the 1970's). During this period, the Dutch fan clubs of Klaus Schulze and Tangerine Dream merged into a new club, 'KLEM', led by editor Frits Couwenberg (better known under his first name). KLEM at first stood for 'Klub Liefhebbers Elektronische Muziek', which later turned into 'Kontakt Liefhebbers Elektronische Muziek'. The general goal of 'KLEM' was to promote electronic music and everything connected to it, directly and indirectly. 'KLEM' releases a magazine, the influential 'KLEMblad', every two months and from 1988 on the yearly festival 'KLEMdag' was organized. The KLEMdag was the biggest festival of electronic music in the world. In some years, more than 1,200 people attended and big names like Ashra, Steve Roach, Gandalf (twice), Jonn Serrie and Suzanne Ciani appeared live in- concert. For many years the KLEMdag was organized by KLONE which was the Eindhoven subdivision of KLEM. Ron was a member of this group and in 1988, was asked to give a concert at the KLEMdag which was held in the village of Best near Eindhoven. n addition to Ron and Patrick Kosmos, there were also concerts by Bernd Kistenmacher and The System, a project by Bas B. Broekhuis. During his concert Ron played music from his new cassette, the C-90 'Wind In The Trees'. 'Wind In The Trees' marked a new era in the early stages of Ron's career. The nine pieces presented a professional and fresh sound. And while the compositions contained some 'traces of the past' (like the music of Klaus Schulze in the opening piece 'Snowhedges, Winter Coldness'), most of the music already bore the unmistakable 'Ron Boots-style' as in great tracks like the rhythmic 'Summerwind', 'Northwind Leaves Fall' and 'April Breeze'. On this cassette for the first time Ron made use of a sampler, the Akai S700. It was Ron's goal to make a tape of rhythmic EM and he succeeded. Ron's next concert was at an evening gathering of 'Phlox', a subdivision of KLEM. His next cassette (1988), the C-60 'Moments', (working-title 'Inspirations'), was based on the fine moments in a person's life. According to Ron, everybody has such moments. The cassette contains six rather intense tracks. After the rhythms on 'Wind In The Trees' Ron wanted to slow down a little on 'Moments'. Highlights are the atmospheric 'Cosmos' and 'Clearmind', the epic 'Once Never', the pastoral 'Final' and the imaging 'Rivers' which became a standard. On this cassette Ron introduced the Kawai K1, which became one of his trademark instruments. Ron is a big fan of science fiction, fantasy and horror. For example, he collects videos of famous sci-fi series and films such as Star Trek (in its various incarnations) and Babylon 5. He also likes to read the books of the great fantasy-writer J.R.R. Tolkien ('The Hobbit', the trilogy 'Lord Of The Rings' and 'The Silmarillion') and horror-master Stephen King. Six of these inspirations were put into music by Ron and gathered together on the C-60 with the fitting title 'Bookworks' in 1989. Ron says that these books did something to him, giving him a certain feeling after reading them. 'Dreaming on words is one of the greatest gifts our brains give us, next to dreaming on music.' 'Bookworks' was a special tape. First, the sound quality was excellent, suitable for CD-release. Second, it was Ron's last solo-tape. A sort of ?end to an era' in his career. It also demonstrated Ron's varying styles. The opening piece 'The Stand' is an exiting epic with lots of changes in atmosphere. Other tracks like 'Goodbye', 'Khazad Dum' and 'Paths Of Death' summon the great haunting spheres of the books. In the 'KLEMblad' Frits wrote: 'It is evening music without a crypt-mood. Ideal to listen to during a long walk on the beach by the full moon'. On 'Bookworks' Ron used for the first time the fantastic Roland D50-synthesizer which he still owns today. In 1989 Ron played at the 'KLEMdag' for the second time. Other concert acts included the Dutch analog-duo Par Example, Patrick Kosmos and Gandalf. For the first time Ron's music was available on CD. This compilation-CD celebrating the 10th anniversary of 'KLEM' included Ron's composition called 'Himalaya' (partly based on 'Clearmind' from 'Moments') which he also contributed to the CD 'Elektronische Muziek 1989'. That CD also featured unreleased material by top electronic artists like Klaus Schulze, Tangerine Dream, Christopher Franke and Gandalf. Ron's gig at the 'KLEMdag' was a duo-concert with Bas B. Broekhuis. During the concert Ron and Bas played pieces composed together as well as solo works. It was a great effort and they received a lot of approval. On this day the duo released the double-cassette called 'Hydrythmix' under the name Project Two Point One. 'Hydrythmix' includes the sequencer-driven 'The Rising Sun', the quiet 'Floating', a remake of 'Rivers', the melodic 'Meadow' (a piece which can also be found on the compilation-cassette 'Wending 1989', released by Belgium electronic music-fan club and magazine 'De Wending', which regretful didn't exist very long) and Broekhuis' solo tracks 'Malibou Beach' (which comes from his solo-cassette 'Face Behind The Mask', then still under the name The System) and a sequencer-track, the Klaus Schulze-like 'The Escher Drawing' (which also appears on his first solo-CD 'Escher Drawings'). 'Ocean Tale', consisting of three parts, is with its 21:25 minutes the longest piece of music Ron had produced to that day. 'Hydrythmix' was released on CD in 1996. The duo proved to be well suited to each other. Broekhuis was also very much at home behind the (electronic) drum kit and became both Ron's musical and business-partner for the forthcoming years. Years that became very exciting - starting with Ron's first CD! In 1990 Ron and Bas decided to start a recording label for electronic music, 'Synteam'. It was presented during the 'Wendingdag', a festival for electronic music in a beautiful old Roman church in the village of Vichte in Belgium. Bernd Kistenmacher and Patrick Kosmos gave concerts. The first two 'Synteam'-products were released on that day. The first one was very special for Ron. It was his first CD, 'Dreamscape' (again, a title about dreams). Making the CD, cost Ron 10.000 guilders. He recorded it with a loan of 6.000 guilders he got from friends. 'Synteam' also released the cassette 'Synteam - Cycles Of Nature', a compilation tape with music from electronic musicians from Eindhoven and its surroundings. Ron contributed the track 'Mojave'. On the tape were also pieces by Bas, Eric van der Heijden and others. 'Dreamscape' was Ron's next (giant) step in his growing career. The compositions are mature and the sound quality is excellent. The CD was recorded using 'MDD' (Midi-Digital-Digital) It is a special method of recording and mixing with the use of the computer. All of this was done in Ron's 'Dreamscape-studio'. On the CD are featured two familiar Boots-style pieces, 'The Stand' from 'Bookworks' and 'Rivers' from 'Moments' and 'Hydrythmix' in a slightly altered arrangement. Other great tracks are the beautiful floating 'Silent Nature' and the title-track, which consists of three parts. On part II a text is read in Esperanto. This piece is the result of an 'all night long' session with Ron's friends Bas Broekhuis (drums and synthesizers), Eric van der Heijden (synthesizers) and Ron Doesborg (classical guitar and fretless bass). On 'Dreamscape' Ron also introduced 'enviRONmental' sounds. The CD proved to be a commercial success. The first printing of Dreamscape was 585 copies (85 more than Ron had ordered). He wondered how he could sell them all. Well, all in all 'Dreamscape' sold about 3.000 copies! Listeners to the German electronic music radio program 'Schwingungen', hosted by Winfried Trenkler, a pioneering radioman in electronic music, voted Ron 'Best newcomer of the year' in the yearly contest called 'Schwingungen-Wahl'. At the beginning of 1991 'Synteam' started with what became a tradition of giving concerts to inaugurate the new year. The first concert was on the 5th of January at 'Unitas', a hall in Eindhoven, which was to become familiar ground for Ron (He was to perform many more concerts there together with his friends who played under the name of 'Ron Boots and friends'). The concept of the concert was 'And Time Is 1991'. After a performance by fellow 'Synteam'- musicians Ad van Gerven, Ron, Eric van der Heijden and Bas B. Broekhuis gave a concert. At this concert, Ron presented a version of an exiting new track called 'Desert Clouds', which ended up on his second solo-CD 'Ghost Of A Mist'. The world of electronic music is small. In such an environment a lot of musicians know each other very well and may collaborate because of their mutual musical goals. So it was with Ron and John Kerr. John is an English musician who has lived and worked in The Netherlands for a long period of time and is well known for his warm and orchestral style of playing. In recent years his music has been extremely popular in the New Age music circles. The two met at 'KLEMdag' in 1988 and when Ron gave a concert on John's birthday, the collaboration between Ron's ambient, Berliner Schule-influenced style and John's classical, laid-back style proved to be very interesting and successful. Their CD 'Offshore Islands' is regarded as a classic in it's genre. The rhythmic track 'Oceans Of Emotions' was regarded as THE number one (electronic) song in Europe for a long time. Also of interest on the CD are the joyful pieces 'Miss You' and 'See You At Christmas'. A review of the selection 'And Time Stood Still' stated that you can imagine the off-shore oil platforms in the sun. 'For Those In Peril On The Sea, Parts I and II' was accompanied by a soprano-voice. The album was remastered and re-released in 1997. Ron and John presented 'Offshore Islands' live on the 30th of March 1991 at 'Unitas' to an audience of 350 (more couldn't get in). The album was voted second in the 'Schwingungen-Wahl'. Also that year the piece 'Rivers' was submitted to the first 'Midi-Awards'. In this period Ron invested much in his equipment, which grew in numbers and complexity. An important new tool was the Korg Wavestation, a wonderful instrument with rich possibilities which allows the musician to create all kinds of special ambiances. It should come as no surprise that the Wavestation played an important role on Ron's next release, 'Ghost Of A Mist'. It was a rather moody album with a lot of space for long and flowing atmospheric soundscapes as on the title track which is divided in two pieces; 'The Sleepwalker' and 'Ring Mist Mountain'. In 'Desert Clouds' Ron is accompanied by German guitarist Klaus Hoffmann-Hoock, who plays an excellent guitar solo. Klaus (a.k.a. 'Cosmic Hoffmann') is a respected guitarist and synthesizer player with roots in progressive rock and who has success with his electronic/symphonic/ethnic-crossover project Mind Over Matter. The commercial and critical reactions to the album were overwhelming. During this period came the announcement that Bas B. Broekhuis and Ron decided to quit 'Synteam'. Their paths parted friendly due to a difference in business-philosophy. Bas established a new label 'Audio Works' and Ron started 'Cue Records NL', the Dutch version of 'Cue Records'. This also gave Ron the opportunity to distribute CDs of electronic musicians from all over the world. CDs that he sold by mail-order, at festivals and fairs. As a result, besides being a musician Ron also became a businessman. The year 1992 started with a New year-concert at 'Unitas'. Ron played together with Bas B. Broekhuis and Eric van der Heijden. The event celebrated the release of Bas' first solo-CD 'The Escher Drawings' which was presented that evening. During the same period (a week later) this group played in Sittard, the Netherlands during the 'Klanknacht'. The first concert in former East Berlin was also a great experience. Together with Ingrid, Ron Doesborg and Eric, I drove to Berlin with a 'boedelbak' (a special trailer) full of equipment. At night we slept in an old East-German youth hostel with a mouldy bathroom (we didn't' risk taking a shower). They had these FANTASTIC mattresses containing of 3 (!!!) pieces. We all slept in one room and could regularly hear a groan or a sigh. The cry 'What a f**k mattress' is still a well-recognized saying among those who were present. The concert was with Harald Grosskopf (the legendary drummer who played with Klaus Schulze in the 70's and still is a member of Ashra). He wanted a quick bite before the concert, so went into Berlin to a place he knew. It appeared Berlin had changed a lot after the fall of the Wall and we arrived only 10 minutes before the concert. After the hurry-up ride, we played 'Mercalli's Scale' for the first time and I must say that the audience was pinned in their chairs. It was precisely the piece we needed to play to relieve the stress of Berlin. It was a great concert in spite of Harald blowing up his drum P.A. On the 28th of March Ron played at the 'Analoge Dag' in 'Gulikshoes' in Sittard. There were also performances by Bas, Ad van Gerven, Rob Essers and Harald Grosskopf. On the 19th of September another significant concert was given in 'Unitas'. Under the title 'First Excursion & MORE' Ron played together with Eric van der Heijden, Ad van Gerven, John Kerr, Klaus Hoffmann-Hoock and the drummers Gerard Vos and Harold van der Heijden, Eric's cousin, who has the nickname 'De Hakker'. Material from the concert was used on the CD 'MORE Live, By Popular Demand'. MORE stands for 'Music Of Ron and Eric'. Again, the CD contains fine music with tracks like 'Mercalli's Scale' with a great sequencer-pattern, the melodic 'Through Mental Doors', 'March 28th', which was recorded at the 'Analoge Dag' and the symphonic 'Unitas Special'. Also, some slightly re-arranged pieces from 'Ghost Of A Mist' and from Eric were played. Again, the reactions were extremely positive. In 1999, the CD was re-released in a remastered version. Later in 1992 Ron recorded a piece for the album 'The Seed' which was a special CD with only one composition written by John Kerr. The piece is performed by Ron and 10 other musicians in continuously different arrangements. According to custom, at the beginning of the next year a concert was given. On the 13th of February 1993 Ron played with Eric van der Heijden, Harold van der Heijden, John Kerr, Ad van Gerven and Klaus Hoffmann-Hoock at 'Unitas' under the title 'Sound Of Future'. They were supported by Dutch duo Syndrone who were promoting their first CD. It was a fine event with lots of space for special effects like video-images. The track 'Twisted Tales' showed the musical direction Ron was already going the next period. In 1999, the concert was released on video. Later in 1993, the long-awaited album 'Different Stories And Twisted Tales' was released. It featured an amazing cover by German airbrush-artist Frank Baumann who had painted covers for electronic music-CDs earlier and had an exposition at 'KLEMdag'. The new 'Dreamscapes Production' was regarded as one of the most important electronic music albums from the Netherlands to date. Compared to Ron's previous record 'Ghost Of A Mist' this music was livelier and in some case even symphonic like Pink Floyd. Contributions were made by Harold 'De Hakker' van der Heijden, Klaus Hoffmann-Hoock and Guido Negraszus (drums). Nothing could be truer. The track, 'The Call' has a great electric guitar solo, which could have been played by Floyd's David Gilmour. But there is more to enjoy on the album. Its opener 'Twisted Tales' is a fine sequencer-piece with lots of changes in mood and rhythm, strong effects and nice solos. There is also space for a Steve Roach-like ambient-tracks 'Amor Facit', which has a strange rhythm that reminds of Klaus Schulze's 'Dreams', and the very imaginary 'Cuivienen'. 'Different Stories' was composed together with Eric van der Heijden. 'Different Stories And Twisted Tales' has become a standard album in Ron's discography and in electronic music. A lot of his fans regard it as one of his masterpieces or perhaps THE masterpiece. It is also his best-selling record with sales of over 4.000 copies, which is quite a large quantity in the small world of electronic music. Ron received many accolades for this recording. In the 'Schwingungen-Wahl' the album was voted 'Best CD of the year', the piece 'Twisted Tales' 'Best track of the year' and Ron himself 'Best artist of the year'. Ron had become the most recognized electronic artist ever from The Netherlands. To celebrate, MORE, accompanied by Klaus Hoffmann-Hoock and Harald Grosskopf, gave a concert at the 'KLEMdag' 1993 on the 20th of November in the beautiful old hall 'De Vereeniging' in Nijmegen. More than 1.200 spectators enjoyed a great day with concerts from Eric Snelders, Syndrone, Walter Christian Rothe, Ian Boddy and Suzanne Ciani. The huge success of 'Different Stories And Twisted Tales' and the successful business with Cue Records NL brought a lot of work for Ron. At a concert at 'Kruimeltheater' in Oldenzaal, Ron played some new material that became the frame for his next, eagerly awaited, album 'Detachment Of Worldly Affairs'. Ron made the CD in collaboration with Eric van der Heijden and Harold van der Heijden. Again, this was impressive work. 'Detachment Of Worldly Affairs, part 1' opens the CD with the typical and familiar Ron Boots-sequences, which contain diverse layers of music. 'Cool Down' is worthy of it's title because it is very quiet and smooth. In 'Lachrymation' Ron experiments with African percussion to go along with his striking sequences. 'Breath (The Living Air)' is a special piece because Ron can be heard as a singer! (Well, sort of: Ron recites a text.) 'Free Flying Spirits' is one of his best sequencer tracks and reminds some of the early sequencer work of Steve Roach. Speaking of Roach: the last track on the CD 'Far Boundaries' also has a similarity with his quiet work. 'Detachment Of Worldly Affairs' is another fine album by Ron and it has also been re-released and remastered in 1999. Again, the album was voted 'Best CD of the year' in the 'Schwingungen-wahl' and Ron came in second in 'Artist of the year', deservingly behind Klaus Schulze. The 'KLEMblad' also held a reader's vote, the 'KLEMquete', and Ron was named 'Number one best newcomer'. In this poll Cue Records NL was awarded THE leading name where people bought their electronic music CDs. Later that year, Ron released a very special album called 'Too Many Secrets'. The album is special for a number of reasons. First, it was released in an extremely limited edition of 50 (!) copies on CD-R. Second, the entire recording is comprised of a single track - a little more than 62 minutes. Later, in 1997, it was released as a normal CD in the full 74 minutes version. Third, 'Too Many Secrets' contains some of the best music Ron has ever made. The CD contains ambient and atmospheric music, interspersed with industrial sounds, combined with quiet and relaxing sounds featuring long stretched cords. In other words, a beautiful and very intense listening experience. 'The 80's Box' became reality after much demand for Ron's earlier music by his fans and continuous pressure by Kees Aerts. This demand has existed for several years and so in 1994, Ron began to 'dust of' some of his old cassettes. Also, a lot of his tapes were hard to use because of the fact that they were copied time after time until, in some cases, the light could been seen through them. Therefore he completely remixed the music, being extremely careful to retain the original atmospheres and feeling. To remake the music Ron used the same instruments he had when he originally recorded his cassettes. Some he even had to buy back (for instance the Kawai K1 has been in and out of his possession four or five times!). Some pieces were shortened however the essence of the music has not been lost. The finished product sounds extremely authentic as can be heard on the CD 'Backgrounds'. On the album are four pieces from 'Wind In The Trees', 'Cosmos' from 'Moments', 'Meadow' from 'Hydrythmix' and four from 'Bookworks'. 'Backgrounds' is a fine retrospective album. Later, Ron gave 2 concerts in German Castle 'Schlob Burg' together with Demo Art (Volker Rapp). 'Schlob Burg' also became the title of the CD. The music was performed twice that day. The musicians were in a room of the castle and with every new song a new painting on the wall was lit. The narrator then told a small story about the painting and then the song was performed. The music is rather versatile but you can still recognize the style of the individual artists. The album has some nice song titles like 'Vor Verschlossenen Toren', 'Drebig Jahre Krieg', 'Wiederaufbau' and 'Bergisches Heimatlied'. In 1995 Ron's next CD 'Cutting Branches' was released. In comparison to some of its predecessors, Ron performed it completely solo. Starting off with the symphonic 'Rumor Control' the album leads the listener into a more rhythmic style. Great examples of this are 'Cutting Branches, part 1' and 'part two'. The second piece demonstrates very well the direction Ron will go on his next albums. 'Reflecting Thoughts' has, indeed, some reflecting thoughts of the early music of Steve Roach. 'Far Boundaries' is a beautifully crafted dark piece. 'Cutting Branches', again, was a success in Europe. This also gave Ron the opportunity to give more concerts abroad. Germany had already provided to be a successful venue on several occasions but Ron now received invitations from France. 'MORE' gave many concerts at air shows, planetariums and museums. In August they played in the biggest planetarium in Bretagne, France during the 'Night Of The Stars'. Later that same month they headlined for the yearly beach festival in Duinkerken, France. The night ended the summer season. Ron was taken back by the enthusiasm his music caused. They played 2.5 hours and the adjusted their program a bit on the 'outsider-public'. Later, in September, they played in England at the 'EMMA-festival'. In the 'Schwingungen-Wahl' Ron again was awarded place as 'Best artist' after Klaus Schulze. Ron was giving lots of concerts and the business with Cue Records NL was also taking a lot of his time. Luckily he met someone who was able to offer some much needed support, Kees Aerts. Kees was a big fan of Ron's music and electronic music in general and had been a music collector for quite some time. Kees also made his own music: besides a few cassettes he has also made a solo-CD called 'Slices Of Time' on which, of course, Ron also contributes. Kees is somebody with a good view on the music and the music-business. He and Ron connected well and decided to work together. Kees became co-owner of Cue Records NL and Ron's manager. Their collaboration can be compared with that of Klaus Schulze and his manager/music-publisher Klaus Dieter Muller (a.k.a. KDM). Leaving a lot of managing-activities to Kees, Ron had more time at his disposal to create music and to give concerts. As stated earlier, Ron is a big fan of science fiction and fantasy. In 1996 he launched a series of CDs, which were inspired by the American cult TV-series 'The X-Files'. It was first supposed to be a one-of project but because of the success of the first album more were made. All of the, by now, four released CDs have a title, which has something to do with the subject 'truth'. The first album is called 'Out There Lies The Truth'. The CDs actually contain music by Ron and a large group of friends. These friends were asked by Ron to make music that was unique. This is because the series is about the supernatural and alien phenomena. For this album, he composed the tracks 'X-Truders' with Ralf Knappe-Heinbockel (of Hemisphere), 'Superficial Analysis Of The Unsound Mind' with Kees Aerts and 'The Machine' with Eric van der Heijden. On this piece the musicians use the voice of Fox Mulder from the series. It ends in a true ambient-dance atmosphere. This is a musical trend Ron likes and on next albums he experimented more with it. He once said, he would like to make a whole album with such music, next to a vocal Jon & Vangelis-like album with Pearl Jam-singer Eddie Vedder. In a review it was said that the music was recorded 'In an atmosphere of the dark cellars and the piercing touches as we know from the series'. Ron's next album was 'Screaming Whispers' which is a very contradictory title. The CD is a perfect example of his move towards more ambient and rhythmical music but still bears his distinctive sound. Eric and Harold van der Heijden leant a hand and it was recorded in his new studio, 'The New Dreamscape Studio'. The piece 'Morphing M.O.R.E.' was played at a concert they gave at 'Schwingungen-Drauben'. This is a sort of mini-festival of 'Schwingungen'. Sadly, the radio program was cancelled but lives on in special CDs on which the program is presented (on various CDs music of Ron can be heard). The sound of 'Screaming Whispers' was somewhat darker, as illustrated on the black cover made by Robert Marselje. The fine title track again shows the different layers of sequencers that became something of a custom in Ron's music. That he can also do the same thing on quieter material can be heard on 'In Total Silence'. Also on this album he experiments with dance-music on the track 'Gibberish' which is even featured as a 'party mix'. That year a second album was released in the 'Truth-series'. It was called 'The Truth Is Twisted'. Ron can be heard on three tracks: 'The Last Busstop' with Volker Rapp (the creative mind behind Demo Art), 'The Sensation Of The Vortex' with Kees Aerts and the fantastic title 'The Tears Of The Insane Bounce Like Bullets From My Brain' (almost a Tangerine Dream-title) with Harold Theunissen of Syndrone. Besides his prominence in 'Schwingungen-Wahl' Ron in the 'KLEMdag' poll of 1996 was named the artist attendees of the day wanted to see and hear perform the next year. And he ended up second, after Mind Over Matter (big names were not included). Early 1997 Ron contributed to a special project on the Italian Amplexus-label. The label released a number of limited (1.000 copies) and numbered CD-singles, which are packaged in a cardboard digipack with beautiful photographs. Ron made a piece of music called 'Of Desolate Places And Urban Jungles'. It is one wonderful ambient composition of more than 20 minutes, one of his best works. Harold van der Heijden plays drums. It resembles the music of Steve Roach and Michael Stearns, who also paid a contribution to the project. The New Year concert of 1997 was very exclusive. On the 12th of January Ron and Harold performed together with no one less than Ian Boddy. Ian is well known for his diversity in electronic styles, ranging from analog, via rock to ambient. He owns some interesting analog modular instruments. The combination of Ian and Ron resulted in an extremely interesting sound which was released on CD, the album 'Phase 3' (working-title: 'Bad Boys') and on video (the concert in 'De Landing' in Eindhoven). The first track on the CD 'Tunnel Vison' marks the typical sequences of Boddy, the drums of Harold and the sounds and solos by Ron. The English magazine and mail order-service 'Synth Music Direct' called it 'sequencer-heaven'. The closing-track 'Frozen Canal' was recorded in Ron's front room the day before the concert. On the first of March 1997, Ron and Harold played at the 'Alpha Centauri-festival' in Huizen, Holland. It was a busy year. In September the third 'Truth'-CD was released, 'Truth Or Dare'. Ron played on three tracks: 'The Fugitive' with John Dyson, the clown of electronic music, 'The Silence Of The Scream' with Kees Aerts and 'Alienation' with Harold van der Heijden, Mario Schonwalder and Detlef Keller (the last two form a retro-duo nowadays). The album was presented live at 'The Landing' in Eindhoven, Harold 'De Hakker' who had broken his arm still managed to play with only one hand! Ron's next album was called 'Current', again with a dark cover. What remains striking about 'Current' are the diverse layers of sequences which can be heard from the beginning notes of the opening track 'Current, part 1'. Music in the best tradition of grandmaster Klaus Schulze (his old and new style! ), but also with the very recognizable Boots-signature. On this album Ron also experiments with modern rhythmical music in pieces like 'Ambiguity' and 'Smiles'. Also on the album there are great ambient-tracks like 'Alignment'. In 'Close Call' Ron can be heard again as a singer (well, sort of). A significant change took place in September 1997 when Cue Records NL decided to change its name into 'Groove Unlimited'. Ron and Kees did this to avoid confusion with Cue Records Germany. Often people thought that it was the same firm. There was absolutely no quarrel with the German firm. Sadly, after the 'KLEMdag' of 1997, 'KLEM' decided to quit the organization of the festival because of a shortage of time. A sigh of disappointment went through the world of electronic music. Most people couldn't believe that this great festival would disappear. Ron, who always was a participant in the organization, and Kees shared this disappointment and decided that they would take over the organization. For this they formed a new company, Stichting Crew because KLEM didn't allow them to use the old name and, the new festival became 'E-Live'. In 1998 Ron deservedly received a special award by the 'Schwingungen-Wahl' for all he has done for the benefit of electronic music. Later, in the summer Ron, Kees and Harold, teaming up under the name of 'BAH!' (Boots, Aerts and van der Heijden), went on a unique trip to Sweden. Winfried Trenkler organized a very special festival on the island Val?, called 'Euro-Sonic'. It was a long trip by car, bus and boat but it was worth it, a great happening. There was a small stage with a fine view on the mountains. In spite of the fact that it was summer, it was rather cold on the island. The music the trio played was released on CD-R with no overdubs, no extra music, no 'bootsanizing'. The CD-R is just how the show sounded and the first intention was just to give the attendees a sort of souvenir. It contains Boots-classics like 'Detachment', 'Breath' and 'Gibberish' but also a truly fantastic new track 'Flyby' which also featured as the title track on Ron's sensational next album 'Tainted Bare Skin'. In the same summer the fourth 'Truth'-album was released with the nice title, 'Four, The Truth'. Ron played on four tracks: 'Alien Bug Hunt' with Volker Rapp and Eric van der Heijden, 'Acknowledged Contact' with the Belgian dark-ambient master Vidna Obmana (born under the name Dirk Serries), 'Gross Misconduct' with Ian Boddy and 'Bare Score' with Eric van der Heijden. On the 17th of October 1998 Ron, Kees, Harold and Eric performed at 'E-Live' at 'De Vereeniging' in Nijmegen. It was an overwhelming concert where they played a lot of material from Ron's new album 'Tainted Bare Skin' in addition to two pieces from Eric's, long-awaited, beautiful second album 'Da Capo'. About 900 spectators saw the concert. 'Tainted Bare Skin', which he made together with Harold van der Heijden, is Ron's best effort to date. Varying fantastic sequencer tracks like 'Gravity Pull', the title track, 'Freezin' Heat' and 'Dewdrop Plunge' next to Steve Roach-like ambient-music in 'Achouchemojha' and a dance-track, 'Dejection's Cure', a true masterpiece of electronic ingenuity. Besides the music, the other special aspect of this album is its cover. Ron was a little tired of the standard science fiction/new age-covers (how beautiful they still may be) and the darker images on his later albums. On an exchange he met photographer Geert Thomassen and liked his work. So he decided to take photographs of his current wife Monique. Together with the yellow CD box this gives a special effect. In the 'Schwingungen-Wahl' Ron reached second again. This time not after Klaus Schulze but after John Dyson (perhaps he got a vote from McCartney). On March 13th 1999 the 'CEOS-festival' took place in Cologne. One day later Ron and Harold played at the Planetarium of Ville Nauf D'asq in France. And within ONE month, on the 10th of April at the 'Alpha Centauri-festival', the CEOS music was released on the CD 'Joie De Vivre'. It was originally planned as a double-CD with the remaster of 'By Popular Demand'. Later we decided to release it as two separate albums. In comparison to 'Tainted Bare Skin' the music is more melodic, even symphonic in some cases with traces of his earlier works. 'Sonic Scenery, part one and part two' are great examples of this. In 'Stranger' the synth-pop of the first half of the 80's is reborn. In this piece Kees sings through a vocoder. 'Freewave' is an old favourite. In 'Aftermath', a recording from 1993, Klaus Hofmann-Hoock plays guitar. Now it's the first of December 1999 and we've just had another great 'E-Live' on the 9th of October with concerts of Keller/Schonwalder, Airsculpture and Ambient specialists Spyra and Biosphere. On the 30th of October 1999 another festival was held. It was a promotional festival for Dutch electronic music and was organized by Quantum Records, the record label of Eric Snelders, and Groove Unlimited. Again, the four friends gave a great concert. Central was the music from 'Joie De Vivre' but also a new song was played and 'Da Capo' by Eric. It is striking to hear what a great drummer Harold is, because it is not easy to play along with sequencers. In September 10 2000 Ron's new solo CD 'Close, but not touching' was released. It contains 5 tracks. Track #4 is a live recording with Harold van der Heijden and Kees Aerts. In March 2001 Ron was awarded BEST ARTIST of 2000 during the German Schwingungen Awards of Winfrid Trenkler. In the same month a new track of Ron appeared on the promo sampler 'Tracks across the Universe'. The track is called 'Sleeping drive'. 2002 starts well with 2 new releases. One CD with Kees Aerts and Harold van der Heijden called 'Livelines'. It's a registration of their concert in Essen, Germany on January 26 2002 during the Schallwende awards. The CD contains 45 minutes of new material and 20+ minutes of old/reworked material. And then there's a new solo CD released in March 2002 called 'Liquid structures in solid form'. 70+ minutes of great Boots' music. In March 2002 Ron Boots & Kees composed 2 new songs. The first one is called 'Cool Runnings' and appeared on the Schallwende #4 sampler of July 2002. The second track 'Sequences Piece' is released on the 2-CD that comes with the Sequences #27 magazine of September 2002. There's a big interview with Ron Boots in the November 2002 issue of the Polish Magazine 'Moogazyn'. Included with the magazine is a sampler CD with, amongst others, the track 'Take off' of the CD 'Livelines' of Boots, Aerts, v.d. Heijden. In May 2003 Ron became father of a second son called 'Dylan'. In June 2003 Kees Aerts & Ron composed a new song for the upcoming 'World Wide Kind 2' sampler. Plus Ron made a serie of jingles for the US radio program 'Sound Explorer' of Wade Gordon. The new CD of Ron is titled 'Area Movement'. All titles have something to do with places on earth, hence the title. It contains the typical Boots' music but special is that it contains a vocal cover version of Kanses - 'Dust in the wind'. In April 2004 was the remastered re-release of his most successfull album 'Different Stories and Twisted Tales' and in the same month 'Hydrythmix', a collaboration with Bas Broekhuis, was remastered and re-released. In November 2004 Ron supplied a new track called 'Conjunction' for the sampler 'Schrittmacher - Tasty Tracks Vol.1'. The Schrittmacher is a hardware sequencer. Other artists on that sampler are a.o. Detlef Keller, Mario Sch?nw?lder and Klaus Schulze. On November 14th Ron together with Kees Aerts and Mike Clark organized the DJExpo 2004, a big DJ and Dance event. During that event a limited edition sampler of 2500 copies was released. On the sampler is the track 'Dejection's Cure' from the album 'Tainted bare skin' under the alias DreamTeaser. Ron together with Harald van der Heijden and Kees Aerts did live performances on June 11 en 12th 2005 during the Fanta Magic Festival in Nieuwegein, The Netherlands. During that weekend a special cd-r was released called Fanta Magic 2005. The cd-r contains 2 live versions of released tracks but also 5 new tracks. In May 2006 Ron released a new solo cd called 'Acoustic Shadows'. He also composed a track called 'iOverture' for iO Pages magazine. The track is on the cd that comes with the magazine. On May 27th, 2006 Ron and Harald van der Heijden performed live in Germany.